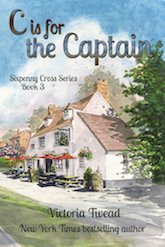 Victoria Twead was born and raised in Dorset, England. 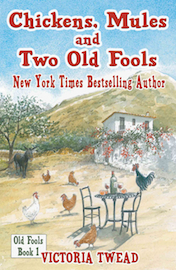 She nagged Joe into moving to Spain in 2004 where their new life in a mountain village inspired her first book, Chickens, Mules and Two Old Fools and the sequels. I’m famous for my lists and records. I can’t help myself; I think I inherited the record-keeping gene from my father. Every day I make a note of the weather, the temperature, the first snowdrop, the day the ants fly, the exchange rate of the euro, everything. I make packing lists, holiday lists, ‘To Do’ lists and ‘Joe, Will You Please’ lists. I even make lists of lists. My nickname at work was Schindler. Also, I have terrible difficulty throwing anything away. I find my heart racing and my fingers clamp possessively on the object in question. After all, a rusty hostess trolley, or broken watch, or a 1996 calendar, or whatever, may come in useful some day… So I rarely delete old emails and have diaries dating back years. Both these dubious character traits of mine, for a pleasant change, proved really useful and helped ‘Chickens’ to hatch. Of course, Joe often lost patience with me, and rightly so. ‘Stop dreaming, and concentrate! Hold that ladder steady or I’m going to break a leg in a minute!’ But the book was relentless. As soon as I could, I unearthed all my records, notes, old emails to friends, and began to write. 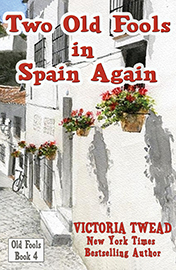 It’s funny where life takes you… When I was a little girl and asked what I wanted to be when I grew up, I always answered, ‘A zoo-keeper.’ No, I never realised that ambition, but life in Spain has not been that far removed. Okay, I agree, chickens, mules and all the other animals (including humans) I wrote about may not be very exotic. But their behaviour was just as riveting as that of any grizzly bear or meerkat. As I wrote, the book made me laugh and cry. I love Spain. I love the Spanish people. I love Spanish food. I hope all this shines through in my writing, even when I’m describing some of the less savoury things that happened to us.